KitchenAble > Announcements > Upcoming Classes > Announcements > Classes and Camps Galore! 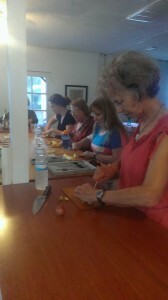 We have quite a few delicious classes on the schedule this month at KitchenAble. 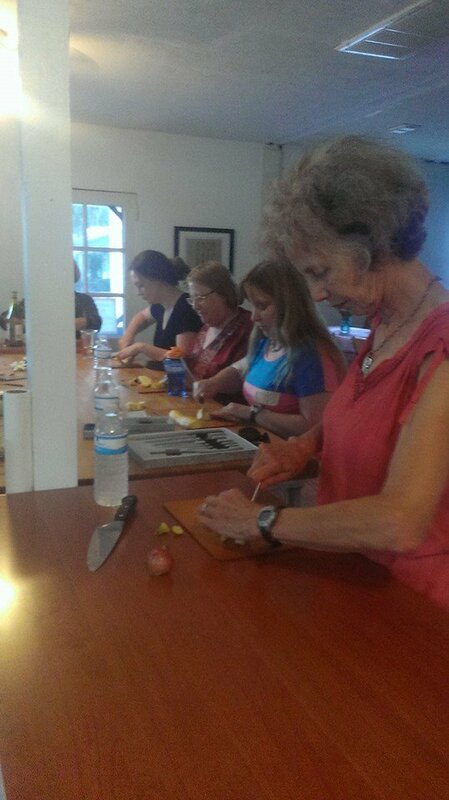 This Tuesday we will be Featuring the FABULOUS Pecan Crusted Pork Tenderloin with Peach Horseradish Sauce and quite a few other yummy dishes- sign up online for $35 and enjoy this class (BYOB if you want to). We are also going to have a class on Gluten Free Baking next Saturday and we promise- it won’t taste like cardboard. These treats are so good it will surprise you to find out they are gluten free. Next week we have another session of Kid’s Cooking Adventures- 9:30-3:30 each day. 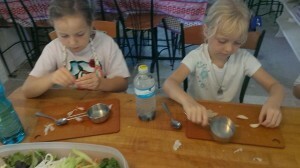 Any kids are welcome (The theme this week will be Gluten Free cooking) and the dishes we are serving will be delicious. Campers that only want to commit for a day of participation can do so- it is $40 per day.